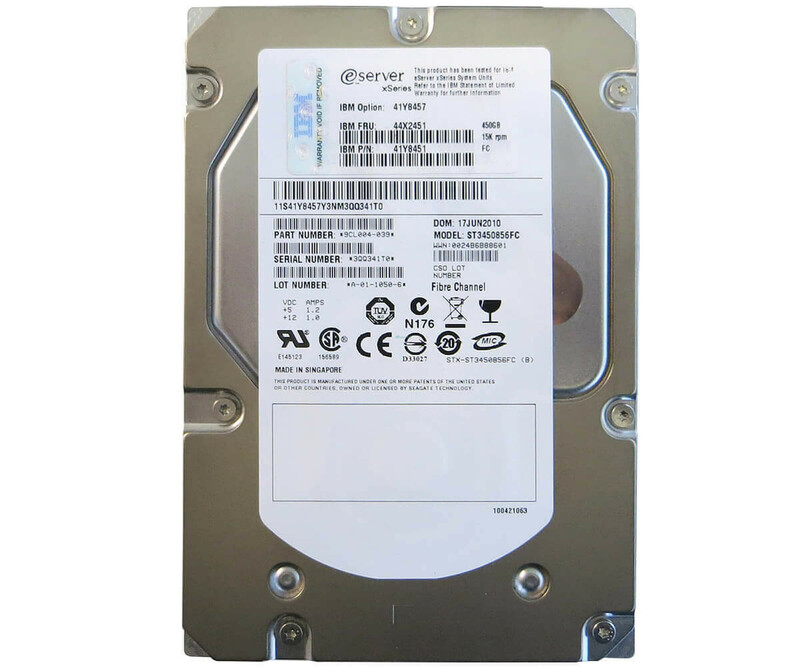 IBM 49Y1874 - Hard Drive- 2 TB - 7200 rpm - 3.5" - SAS"
From IBM, part number 41Y8451 is an original replacement hard drive that can be used directly in compatible servers and other business systems. 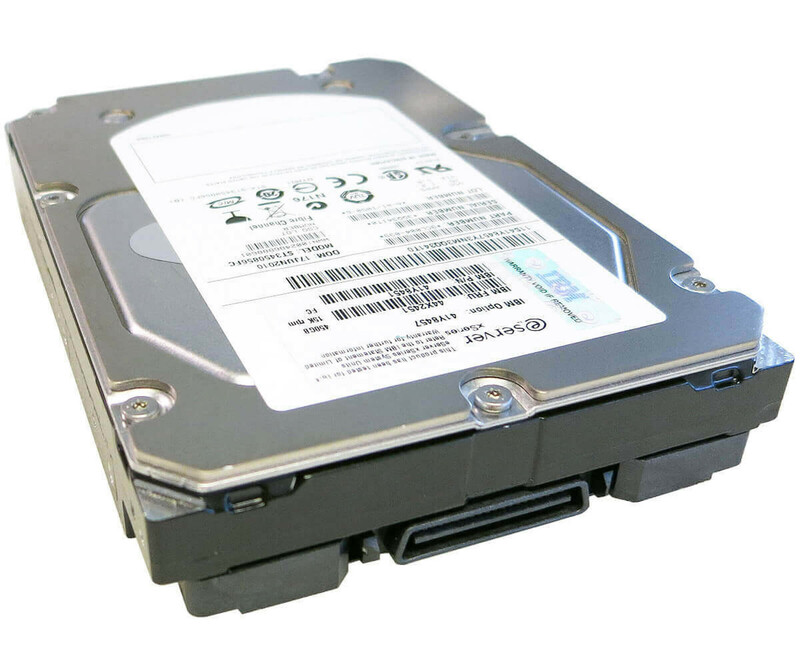 From IBM, part number 41Y8451 is an original replacement hard drive that can be used directly in compatible servers and other business systems. However, the drive is not only for replacement in case of defects occurring, but it can also serve as a pure extension to increase the total storage capacity. To store your data and applications, the IBM 41Y8451 hard drive provides a total of 450 GB. However, the 40 pin Fiber Channel interface also provides a fast connection with a maximum data transfer rate of 400 MB / s. In addition, a 16 MB cache is integrated in order to enable fast caching for various processes. In addition to the FC interface, the 3.5-inch format of the IBM 41Y8451 component is an important factor in compatibility. The basis for this drive was the model Cheetah 15K.6 ST3450856FC Seagate. Therefore, it can also operate in systems of other manufacturers, provided that the technical requirements are met. For IBM devices, however, you can check compatibility directly with part numbers 41Y8451 and 41Y8457 or FRU 44X2451. These can be found in the maintenance manual of the respective system or in the corresponding parts lists. Among other things, the 450 GB FC hard drive is supported by the IBM System Storage DS4000 EXP810 Expansion Unit Model.